These luscious treats are absolutely perfect for Easter! Our yummy cake pops are made with delicious bites of gourmet cake and are hand-dipped in decadent Belgian chocolate. 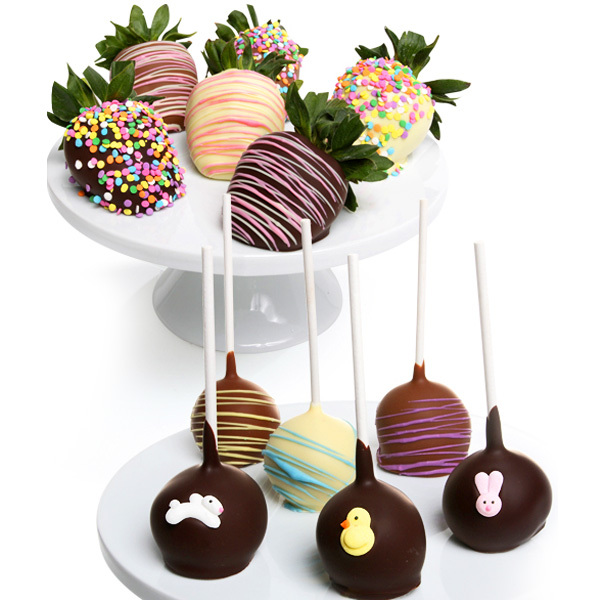 Our plump strawberries are also dipped by hand in chocolate and decorated in lively spring motifs. Both of these treats will tempt your taste buds and are an essential part of your Easter celebration!